Welcome to the web site for the Church of England Parish of Barnard Castle with Whorlton, Teesdale, in South West County Durham. 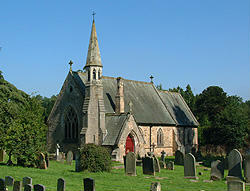 The parish is composed of the Churches of St Mary’s Barnard Castle and St Mary’s, Whorlton, and is in the Auckland Archdeaconry of the Diocese of Durham. 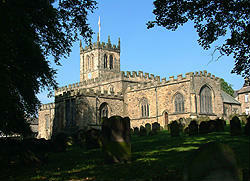 It serves the market town of Barnard Castle and the picturesque village of Whorlton along with their surrounding areas. As a traditional country parish we seek to be faithful in our worship of God and in sharing in His mission and many centuries of loving care of countless hearts and hands have given us a priceless heritage in these ancient buildings. We aim to embrace all with His love and can assure you of a warm welcome at any of our services and hope that you will feel something of the atmosphere of prayer, and thanksgiving which is so characteristic of our historic English churches if and when you visit us..
We hope you will find the site interesting and informative. Please use the dropdown menus above or the links on each page to explore our site. APCM Annual Report and Accounts for 2018. (Click Blue Text to Download File).